Bonita National Golf & Country Club is a luxurious golf course community located in beautiful Bonita Springs, Florida. This brand new gated community will consist of condominiums, attached homes, and single-family homes that have been elegantly designed by Lennar Homes. Homebuyers will also enjoy a brand new clubhouse and amenities that will allow them to live an exciting golf and country club lifestyle. Located three miles from Interstate 75, Bonita National Golf & Country Club is ideally situated in a great area with easy access to major attractions as well as all that the Naples and Fort Myers areas have to offer. Homeowners can experience the best of both worlds by having a well-crafted and luxurious, yet low-maintenance home in a prime Southwest Florida location. This luxury golf community will have resort-style amenities where residents can stay active and social throughout the year. Bonita National Golf & Country Club's proposed 24,000 square-foot clubhouse will be the community's social hub of activity and fun. The clubhouse will have a state-of-the-art fitness center equipped with cardiovascular and weight-training machines so residents can stay healthy all year long. They will also have an aerobics studio, massage room, and locker rooms. Residents can also visit the Grille Room restaurant for a casual meal and buy gear at the tennis pro shop, which will be held inside the clubhouse. The spectacular outdoor amenities will allow homeowners to continue their social and recreational daily routine. Outdoor amenities include a resort-style pool and lap pool, a separate children's pool, spacious patio area, eight Har-Tru tennis courts, a conservation area, walking and biking trails, and 200 acres of scenic lakes. Golf enthusiasts will be pleased to have a brand new golf course in their own back yard. The Gordon Lewis designed 18-hole championship golf course will be one of the best amenities at Bonita National Golf & Country Club. The private championship golf course will feature seven sets of tees that range from 4,500 to over 7,000 yards with sand bunkers, lakes, grass bunkers and moguls to make the course a true challenge for any golfer. Not only do homeowners have access to this beautiful golf course, but they also get access to state-of-the-art golf practice facilities. These include a driving range, aqua range with teaching tee, chipping green area with sand bunker, and putting green. Lennar Homes began construction in Bonita National Golf & Country Club in 2014 and plans to build 1,489 luxurious residences. Bonita National Golf & Country Club will have 687 single-family homes and 802 condos and attached homes. Homebuyers can choose from six collections, such as Terrace Condos, Veranda Condos, Coach Homes, Executive Homes, Manor Homes, and Estate Homes. All homes are low-maintenance and feature energy efficient designs, open floor plans, crown molding, and luxurious fixtures. The elegant Terrace Condos and Veranda Condos offer 1,107 to 1,569 square feet of living space and have two bedrooms and two bathrooms. Terrace Condos are made up of units in a multi-level building with elevator access and offer covered parking spaces near the building. Veranda Condos are units in a two-story building and have detached one-car garages. Slightly larger than condominiums, attached residences in the Coach Homes collection offer 1,741 to 2,110 square feet of living space and have three bedrooms, two bathrooms, and an attached two or three-car garage. Homebuyers looking for even more space can choose from the single-family models that offer 1,649 to 3,828 square feet of living space. These elegant single-family homes have two to six bedrooms, two to four-and-a-half bathrooms, and attached two or three-car garages. Some of the larger single-family homes feature two-story living, a private outdoor pool, activity rooms, and bonus rooms. Bonita National Golf & Country Club will provide homeowners with an active lifestyle that is sure to keep them entertained all year long. They can swim in the pool, play a round of golf or practice their swing, take scenic strolls throughout the community, and admire the natural beauty of Bonita National's conservation areas and lakes. They can also get together with other neighbors to form a group activity or club with similar interests and hobbies. Residents will have more time to participate in these types of activities because of the homeowners association (HOA). The HOA fee includes lawn maintenance, security, and access to recreational amenities. 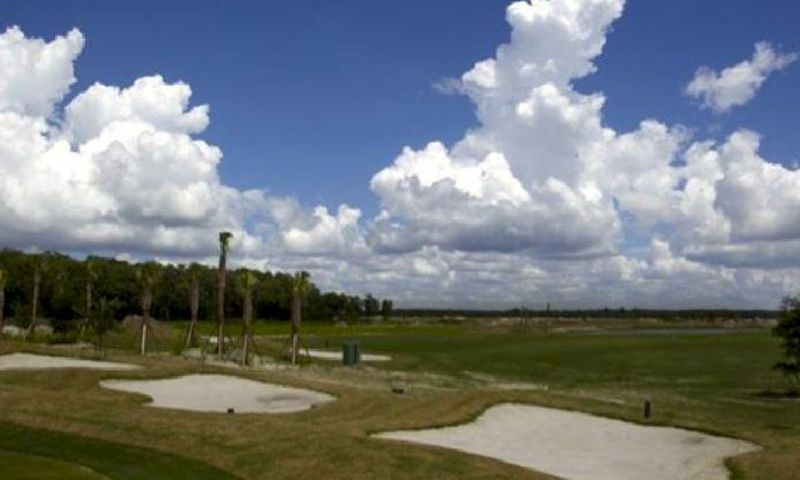 Bonita National Golf & Country Club will be located three miles east of I-75 on Bonita Beach Boulevard. Homeowners will have convenient access to miles of beautiful beaches, boating and fishing attractions as well as plenty of bird watching spots like Corkscrew Swamp Sanctuary. Koreshan State Park offers 200-acres of natural space for hiking, canoeing, picnicking, and camping. Not to mention all of the world-class shopping and dining that's also nearby. For farther travel, Southwest Florida International Airport is only 25 minutes away. Bonita National Golf & Country Club is located in a prime location that offers convenient access for residents to all that Fort Myers has to offer. There are plenty of activities available in Bonita National Golf & Country Club. Here is a sample of some of the clubs, activities and classes offered here. The Terrace Condos is a multi-level building with elevator access made up of units that offer 1,107 to 1,284 square feet of living space. These units have two bedrooms, two bathrooms, and one covered parking space per unit. All units come with a lanai, dinette, and open living areas. The Veranda Condos is a two-story building with condominiums ranging from 1,355 to 1,569 square feet. These units have two bedrooms, a den, two bathrooms, and a detached one-car garage. Each unit has a lanai and veranda that's great for entertaining. Coach Homes are attached residences that range from 1,741 to 2,110 square feet. These attached homes are two floors and have three bedrooms, two bathrooms, covered patios, and an attached two to three-car garage. The Executive Homes collection features single-family residences that have colonial-style wood casing and baseboard interiors and range from 1,649 to 2,246 square feet. They have two or four bedrooms, two or three bathrooms, and an attached two-car garage. Single-family residences in the Manor Homes collection have 2,245 to 3,828 square feet of living space. These spacious homes have three to six bedrooms, two to four-and-a-half bathrooms, and an attached three-car garage. Some models feature master suites on the second floor as well as activity rooms and bonus rooms. The Estate Homes collection consists of single-family residences with spacious floor plans that range from 2,394 to 3,800 square feet. These homes have three to five bedrooms, two-and-a-half to four bathrooms, and an attached two to three-car garage. These homes feature elegant designs, large master suites, and some models offer a second-floor bonus suite and loft space. 55places.com is not affiliated with the developer(s) or homeowners association of Bonita National Golf & Country Club. The information you submit is distributed to a 55places.com Partner Agent, who is a licensed real estate agent. The information regarding Bonita National Golf & Country Club has not been verified or approved by the developer or homeowners association. Please verify all information prior to purchasing. 55places.com is not responsible for any errors regarding the information displayed on this website.